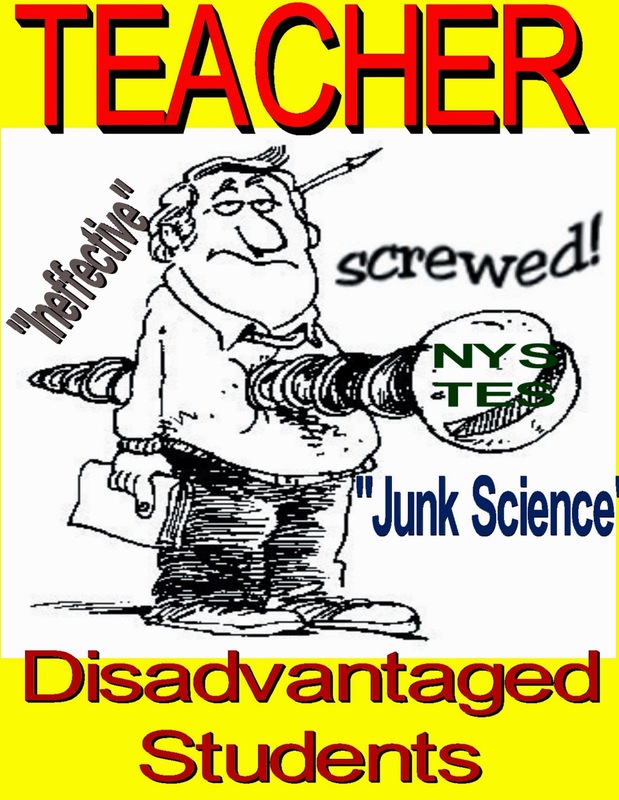 Why Common Core Cannot Work For Regents Science Under The Existing NYCDOE Policy. Its common knowledge that the New York State flawed roll out of the "Common Core" standards has resulted in some very dismal 2013 test scores for grades 3 to 8. Its obvious to many educators that the State's attempt to repair a plane while in flight has ended up crash landing, even if the NYSED doesn't want to admit it. Now the "Common Core" standards are being introduced to the high schools. However, for classes that end with a Regents the inclusion of "Common Core" material is problematical since many of the Regents have not been modified for the "Common Core" and the curriculum associated with these Regents remains unchanged. Since I am a Science teacher, let's see the problems associated with the implementation of the "Common Core" materials into the existing curriculum. First, a majority of schools, under pressure to save money and limit the amount of teachers they need to hire, have reduced the number of days for Science instruction from a 5-1 schedule (five days of instruction plus one lab) to a 4-1 schedule (four days of instruction and one lab). The result is that the students have almost a month less of instruction days and the teachers find themselves under time pressure to finish the curriculum by the end of the school year. Where once, Science teachers had almost a month to review for the Regents, just finishing the curriculum is a small victory. Anecdotal evidence has shown that schools that went to the 4-1 schedule resulted in a significantly lower Regents passing rate. This is primarily due to the DOE's misguided "fair student funding" program that encourages principals to hire fewer teachers with their budget in mind. Second, the Regents have remained essentially "unchanged" and the Science teachers must cover the multiple units and topics that show up on the Regents. If Science teachers are pressured to include the more detailed "Common Core" standards into their teaching of the subject, the units and topics will take longer to teach and add to the time pressure these Science teachers already have in the 4-1 schedule. The result would be that some teachers will skip topics in a unit in the hopes that the Regents doesn't have too many questions on the topics that the teacher skipped. In other words, its like "robbing Peter to pay Paul" and to me this is not allowing for masterly of the subject by the students. Finally, principals have found out that neither the DOE or UFT cares or bothered to crack down on schools using teachers not certified in the content specialty that is required by State Education Law. Look at PS 106, there was apparently no Special Education Teacher for the Special Education students and nobody seemed to care or do anything about it. How about Queens Vocational and Richmond Hill, amoung many others, who uses non-certified teachers in that content specialty to teach Earth Science? Can you image asking these teachers to include more rigorous and in-depth instruction in a subject that they are barely able to understand themselves? In quite a few cases these teachers are only one step ahead of the students they are teaching the course to. For "Common Core" to successfully be incorporated into a high school Regents curriculum, the following issues must be resolved. Eliminate the "fair student funding formula" and allow principals to hire the appropriate amount of teachers for their school. Go back to the 5-1 Science schedule like the rest of the State. All teachers need to be certified in the content specilty that they are teaching in. The Regents must be radically changed by including less units and topics to accommodate the "Common Core" standards. Presently, the failure of the DOE to do the right thing for the NYC students has hurt student academic achievement and incorporating "Common Core" into the classroom without fixing the existing policy problems in the City schools will only result in the plane crashing. 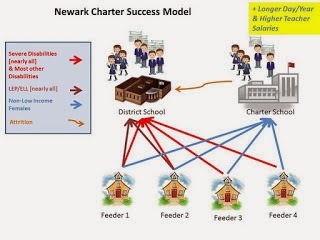 Ed Deformer Cami Anderson's "One Newark Plan" Is A Way To Dismantle The Public School System. Ex-Tweedie and District 79 teacher destroyer, Cami Anderson, the State appointed Superintendent who now heads the Newark Public Schools (NPS) has proposed a plan to dismantle the City's Public School System. She calls this the "One Newark Plan". The proposed plan closes schools, lays off teachers, adds charter schools, and sell off school property. No where in her "One Newark Plan" does it talk about concrete strategies to improve student outcomes but of course, the idea is to save money not improve student academic achievement. Ms. Anderson's "One Newark Plan" would allow NPS to lay off 700 teachers, many of the "quality teachers" while adding up to 300 Teach For America (TFA) "newbies" to replace them. You think money is an issue here? Interestingly, in the "One Newark Plan" it talks about having more "quality teachers" in the classroom. However TFA "newbies" are not considered "highly qualified teachers" as defined by No Child Left Behind (NCLB). Yes, its about the money! The only thing standing in the way is that Ms. Anderson needs a State waiver to layoff the 700 teachers. Unfortunately, the State Commissioner is another ex-Tweedie and fellow ed deformer Christopher Cerf. Therefore, there is a strong chance that the State will approve the waiver and seniority based layoffs will be overridden by the waiver. Cami Anderson's "One Newark Plan" is to reshape the Newark schools to the ill-fated and failing New Orleans model. Meaning that most of the schools will end up as charter schools and many public schools that close down that are not used as charter schools will be sold to real estate interests. The "One Newark Plan" is simply an "education on the cheap" policy that will do nothing to improve student academic outcomes and with "unqualified newbie teachers" can actually hurt student academic. achievement. When ed deformers take charge of a school system they implement policies that don't improve classroom instruction but try to impose questionable programs that don't seem to work. When this happens they blame teachers,school administrators, and union rules while never being held accountable for their own failures. Children first? Not when ed deformers like Cami Anderson are put in charge of school systems since their primary concern is to run the school system as a business and ignore the very real social-economic factors, like poverty, The result are lean school budgets, "unqualified teachers", and programs that don't work in the classroom. Does anyone really think that improves student academic achievement? I don't, how about you? Teachers Who Work With High Needs Students Are Screwed Under The Flawed Teacher Evaluation System. We all suspected that teachers who work with disadvantaged students, minorities, English Language Learners, and Special Education will have much lower test grades under the badly flawed and unfair Teacher Evaluation System (TES). Now combining the flawed TES with the untested Common Core has resulted in teachers who instruct "high needs" students with very disappointing results. One of the most important and respected educators in our State, 2013 "Principal of the year", Carol Burns has published the results of the 8th grade New York State tests for 2013 and the numbers for all the groups are bad, real bad. The table below shows the percentage of New York State students who passed the 2013 Common Core based test. When you look at the highly complicated "value added method" (VAM) in the State "junk Science" equation. I guarantee you that the adjustments for the five groups are not adjusted for the actual ratios found in the 2013 test scores but at a much lower percentage difference. The result is that teachers who are instructing the five groups will get much lower VAM scores and in danger of being labeled ineffective". Worse, for New York City teachers, if their VAM numbers are deemed "ineffective" they will be rated "ineffective" no matter how well they do on the other parts of the TES. The use of Common Core in the 2013 State test has dramatically widened the income/racial academic achievement gap to grossly unacceptable levels. Below, the table compares the percentage difference between the academic achievement gap for the 2012 State test with the 2013 Common Core based test. Its obvious that the State Department of Education has failed the students by bringing out the Common Core without setting up and testing a curriculum to properly implement it. Furthermore, the State failed to provide or fund "professional development" for teachers to understand how Common Core will be taught. The result are poor student scores, low teacher morale, and most importantly "ineffective" teacher ratings that will lead to unfair teacher terminations. The most "at risk" are those teachers who teach "high needs" students, the very teachers the students need the most and that's a shame. NYC Educator has also wrote about the State's flawed roll out and how it affects his students and himself. Why School Letter Grades Are A Joke - PS 106. 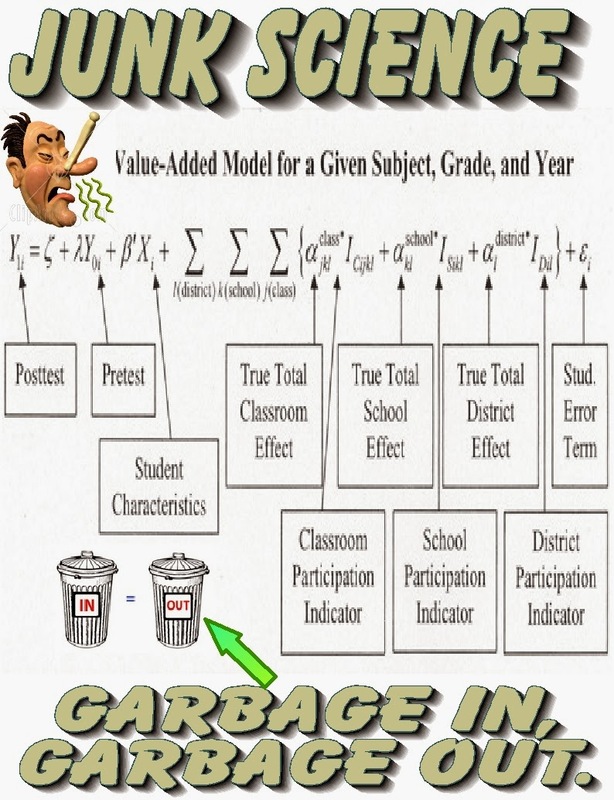 Most educators knew that the school grades assigned by the DOE do not represent the actual school learning environment and student academic achievement. However, many principals were told how to "game the system" to achieve artificially high grades for their school. A prime example is none other than PS 106 and "Leadership Academy Principal" Marcella Sills who ran her school using questionable methods and had poor staff morale. Yet until last year her school received either an "A" or "B" for the years 2010-12 and was rated "proficient" in the 2008-09 school year. I'm sure if it wasn't for the relocation of the school due to Hurricane Sandy, the school would have received another "A" or "B". Yes PS 106 receive high letter grades from the DOE despite the numerous complaints by staff about Ms. Sills, the lack of a special education teacher for the students with special needs and no payroll secretary. Add to that the high staff turnover rate also didn't seem to affect the school's letter grade and the failure to give the school's students Physical Education and Art was omitted in determining the bogus letter grade assigned to the school. If that wasn't bad enough the school library issue where money allocated to it was apparently diverted and the school administration was not held accountable to explain where the library allocated funds went to. These school letter grades are useless and not worth the paper it was printed on. Veteran teacher Patricia Walsh wrote an article for the New York Post and described in detail how PS 106 deteriorated and what it was like to teach under Marcella Sills until she left the school in 2009. Ms. Walsh's story just reinforces everything we were told about the horrible situation at PS 106 under Marcella Sills watch. The numerous complaints and actions taken against staff since Marcella Sills became Principal has been written about in this and other blogs as well by the New York Post and now that the Principal has been reassigned and faces termination under State law 3020-a. The real question is why as these abuses occurred at her school the DOE still gave her school one "A" and two "B"s in the last three years it earned a grade? Will heads roll at Tweed because of their failure to take appropriate action against the abuses that Marcella Sills was allowed to get away with at PS 106? Of course not since only teachers are held accountable not administrators who allowed this travesty to occur and when alerted failed to take action. "Children First"? Only if you believe in the "tooth fairy" when it comes to these no accountable DOE administrators like District 27 Superintendent Lloyd-Bey, the useless and money sucking Children First Network 531, and the leadership at Tweed. The continuing fallout of the reassignment and eventual removal of "Leadership Academy Principal" Marcella Sills has now spotlighted the actions of District 27 Superintendent Michelle Lloyd-Bey who apparently allowed the abuse at PS 106 to go on for years. Interestingly, the Superintendent was once Principal of the very same PS 106 and one would think that she would have a more focused interest on the school's operation. 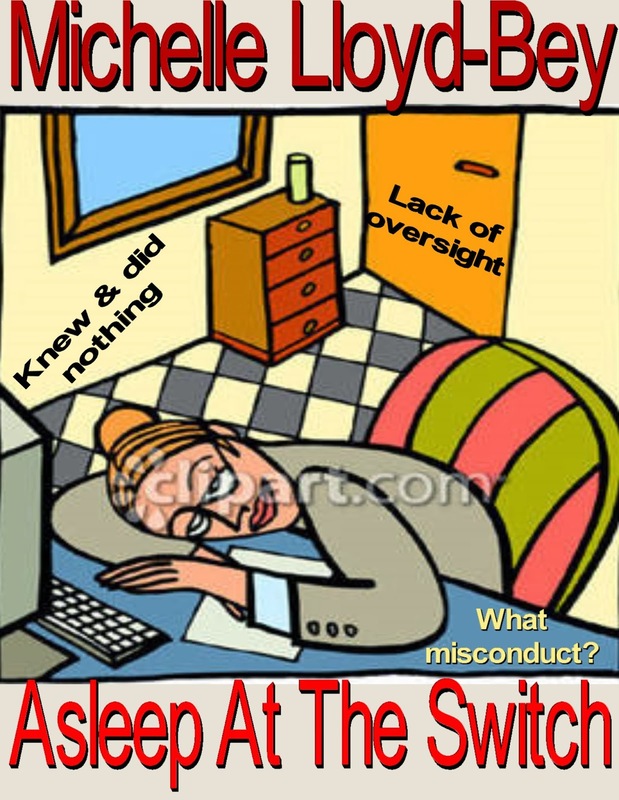 However, it appears that Michelle Lloyd-Bey was "asleep at the switch" as the many complaints crossed her desk from PS 106. In 2007 Michelle Lloyd-Bey was named District 27 Superintendent by Chancellor Joel Klein. Later on, the first letter from a teacher came across her desk about the problems at PS 106 that year. What followed was many other incidents and complaints that resulted in many articles written about the school in the local newspaper called "The Wave". Norm Scott was kind enough to include them in his Norm's Notes blog and can be found Here and Here. In addition, under Michelle Lloyd-Bey's watch many complaints came to her attention about the abuses at PS 106 and apparently she did nothing about it. According to the New York Post as many as ten letters that are in the newspaper's possession either was sent to Michelle Lloyd-Bey or passed to her from other DOE officials. Finally, when the issue of Ms. Sills "time and attendance" was brought to the Superintendent's attention back in 2011. Her only action was to remind Ms. Sills that she must adhere to the hours of her position and tell her who was in charge when Ms. Sills wasn't there. No disciplinary hearing, no collecting of time cards, no oversight whatsoever. In fact, this is what Superintendent Michelle Lloyd-Bey told the SCI investigators. attendance. Sills now was required to punch a timecard on a daily basis. actions that could have improved the atmosphere at PS 106. Michelle Lloyd-Bey was "asleep at the switch" and her failure to discipline the Principal and take corrective actions at PS 106 should result in her removal as the District 27 Superintendent. When the students and staff return to PS 106, it will be a new day for them. They will not have to suffer under the questionable and vindictive policies of ex Principal Marcella Sills. Ms. Sills has been reassigned, pending her 3020-a termination hearing. The Special Commissioner of Investigations (SCI) has substantiated that Ms. Sills failed to show up at the appointed time or in some cases not show up at all. The entire SCI report can be found Here. A summary can be found at the New York Post in today's paper. Unfortunately, for Ms. Sills "time and attendance" charges are the easiest for the DOE to prove and things look dismal for the "Leadership Academy Principal". 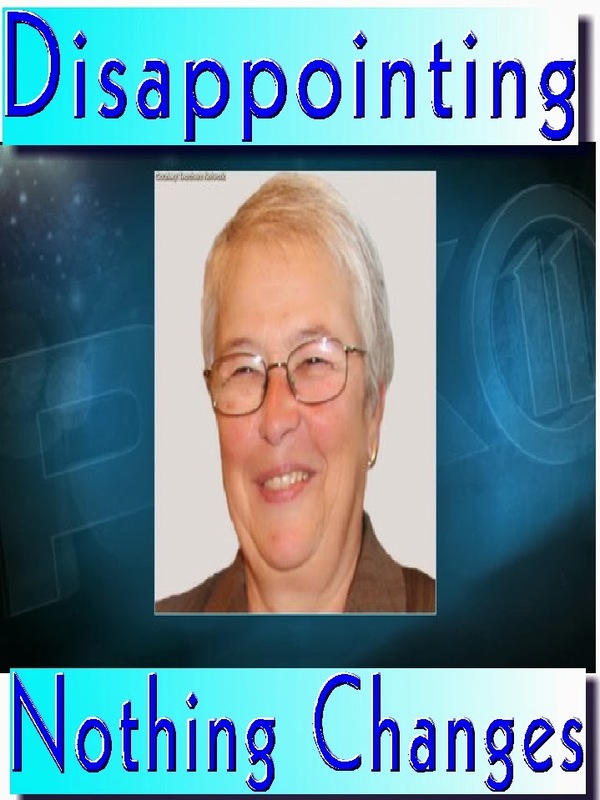 My question is why didn't Chancellor Carmen Farina remove her when the New York Post reported it in the first place? I guess its that "double standard" that the DOE practices and that the new Chancellor has apparently not changed. Moreover, why was Marcella Sills protected by the District 27 Superintendent, Michele Lloyd-Bey who admitted that she spoke to Ms. Sills about her time and attendance two or three years earlier when the Superintendent was made aware by various sources of the tardiness of the Principal. Yet the Superintendent didn't even bother to give Ms. Sills a disciplinary letter when made aware of the "time and attendance" issues nor did she require Ms. Sills to document her attendance. In other words, the Superintendent didn't do her job and worse seemed to protect Ms. Sills by not providing proper oversight when alerted to the problems at PS 106 under Marcella Sills. While ex-Principal Marcella Sills will now face 3020-a termination hearings for "time and attendance" and maybe the more serious charges of "theft of service", the DOE's Office of Legal Service's Administrative Trials Unit (ATU) will most certainly charge Marcella Sills with additional charges since that is how they operate. Regardless, it appears the days that Marcella Sills will be getting a paycheck from the DOE are numbered. Should the investigation end here? I think Chancellor Farina should investigate the actions of Superintendent Michele Lloyd-Bey and the useless "Children First Network" 531 in protecting Marcella Sills and their lack of corrective action on the problems that beset PS 106. Furthermore, what did the people at Tweed know about the issues at PS 106 and why did they fail to take action? For more information on Marcella Sills you can find them on my previous posts Here and Here. 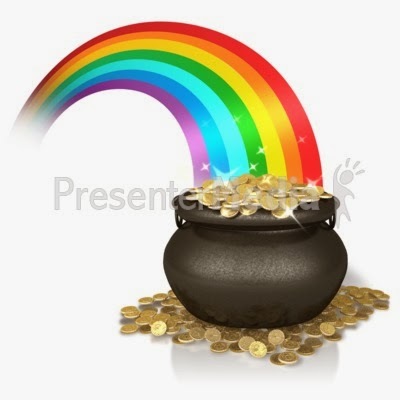 A Pot Of Gold Looms At The End Of Contract Negotiations. Yesterday, Michael Mulgrew was interviewed by Anna Sale of NPR on the Brian Lehrer Show. Mr. Mulgrew caused quite a stir in the media when he admitted that "retroactive raises" are very important. What I don't get is that Mr. Mulgrew only stated what everybody knew to be true, that "retroactive raises" are extremely important. In fact, now that the De Blasio Administration has agreed to the previous "City Pattern" including full retroactive raises for the 200 Environmental Officers it makes it very difficult for Arbitrators not to give the Teachers and Nurses Unions the two 4% raises, including "retroactive raises" for the established "City Pattern" during the 2009-2010 budget years. However, how the next three years of a contract play out is highly uncertain. There is broad consensus that the two arbitration boards will uphold the "City Pattern" for the teachers and nurses. 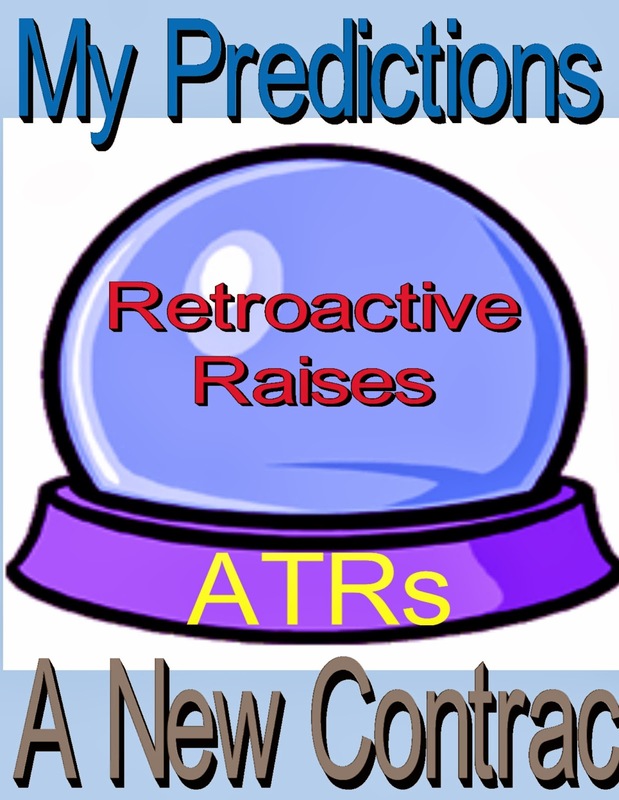 Therefore, the question is will the "retroactive raises" be paid upfront or stretched out over the next three budgets? Both the City and UFT would like to stretch it out but it might not be possible if the State takes the side of the Bloomberg Administration's claim that under "Generally Accepted Accounting Principles" a Municipal budget cannot account for deferred raises by pushing it into future budgets. The State has not ruled on the Bloomberg Administration's claim. Regardless how this plays out, look for the UFT and NYSNA to get the "City Pattern" and "retroactive raises" How the "retroactive raises" will be handled will depend on the State's decision on the Bloomberg Administration's attempt to force the City to pay it out of this year's budget or stretch it out over three budgets.. The next three years for all the Municipal employees including the UFT, CSA, and NYSNA will probably not be negotiated until the City has finalized agreements with the teachers , supervisors, and nurses. Once these contracts are completed, Bob Linn, the Chief negotiator for the City will have a better idea of the City finances and will negotiate from a "zero raise floor". Bob Linn under the Ed Koch Administration was known to do just that. 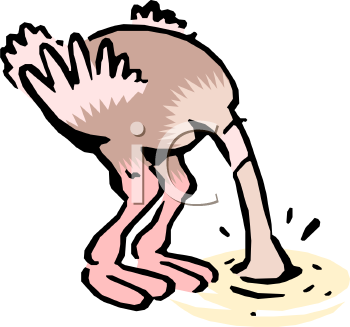 Therefore, it's not surprising that this will be the City's position in negotiations. Of course, the Municipal unions will want raises at least equal to the City inflation rate for the three year period, averaging 2.31% yearly. The negotiated number will probably be between 1% and 2% annually with "retroactive raises" that may be deferred to future years if the State rules against the Bloomberg Administration's claim. Otherwise, a more creative solution will be implemented including bonuses. I look for negotiations to be completed by June of this year and will include our two 4% raises, minus 0.58% that we owe the City for the two days before Labor Day. The "retroactive raises" will be stretched out for three years and might include bonuses for the "retroactive raises" owed to us for the final three years. To save money the City will require the DOE to impose a "hiring freeze" and save $160 million dollars yearly by placing ATRs in the classrooms. This will have the added benefit of reducing class sizes as well. I also see the City telling the DOE to eliminate many of the managers, lawyers, and accountability experts and to severely limit the many and unnecessary consultant contracts. This will save the DOE three billion dollars or more and by eliminating the useless "Children First Networks" and giving Central the school staffing responsibility. That will allow the schools to hire the "quality teachers" they desperately needs while freeing the school to use their budget on resources to the classroom. While I am not a psychic, the final contract should be very similar to what I proposed and we should see a "pot of gold" at the end. NotE: If one wants to know how much "back pay" we are getting for the two year (2009-10) "City pattern" use the back pay calculator that is on the Urban Ed blog as a good estimate. Remember you need to add all your gross pay between the two dates to the present (first year, approximately 4.5 years and second year, approximately 3.5 years) to put the right value in the calculator. Why Hasn't The Union Responded To The Media's Demonization Of The ATRs? Over the last month the three daily newspapers in New York City have published articles and/or editorials that have demonized the ATRs while our union failed to respond to any of these inaccurate, and politically motivated attacks on their members. The articles have a recurring theme that ATRs are "bad teachers", undesirables" and refuse to apply for the many vacancies posted by the "Open Market Transfer System". In all cases they are demanding a "time limit" between six months to a year and if the ATR cannot get a position then they should be terminated. This ideological attack on the ATRs are all the same. In every case these articles and editorials ignore the reasons that there are over 2,000 ATRs in the first place and that is the "fair student funding formula" and the DOE policy for schools to fund the teacher salaries out of their tight budget. The result, as every real educator knows, is that the principals of the New York City public schools must hire the "cheapest teachers" and not the "best teachers" for their students. What is most disappointing is the lack of response by the UFT leadership to these ideologically driven vicious attacks on the ATRs. Why is our union leadership remaining silent to these inaccurate and malicious attacks on the ATRs? 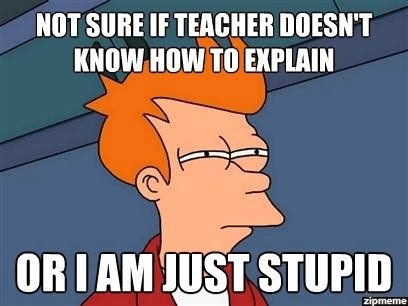 I wish I knew the answer. UFT President, Michael Mulgrew, has always supported the ATRs and in internal discussions he has said many times that the union will not agree to a "time limit" but wants the ATRs put back into the classroom where they belong and are needed. In fact, many union leaders have stated that if the union was willing to give up the ATRs by agreeing to a "time limit", the Bloomberg Administration would be willing to give the UFT their two 4% raises (not sure if it included retroactive raises) owed to the members for the 2009 and 2010 time periods. However, publicly. he has remained silent on the vicious media attacks on the ATRs. You would think the UFT would respond to these unfair attacks since they were complicit to the formation of the ATR pool in the first place by approving it in that terrible 2005 contract. To compound their error on the ATR issue they approved the useless and demoralizing ATR rotation system that is a waste of talent, money, and does not help students to improve academically. You do not see the police or fire unions agree to an ATR like program? When a police precinct or firehouse closes, the policemen and firemen are assigned to vacancies in the closest loation to the closed buildings. The reality is that no other union would ever allow such a program after seeing how ATRs are being treated by the press and the City. In fact, I'm sure that if the union allowed the City to impose an ATR "time limit" the other unions would sue as a violation of Civil Service law. In a related matter, the union must put a stop to these unfair and unjust field supervisor observations. 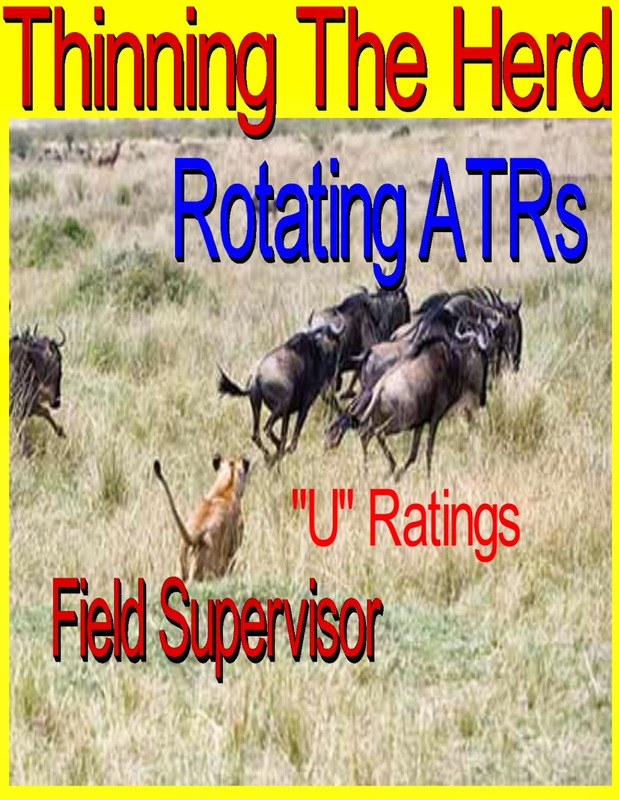 Many of these field supervisors are using unattainable standards to rate the ATRs and that's just not right. How do you properly rate an ATR in a strange school with unfamiliar students, and with no training in the classroom technology or Common Core standards they seem to look for? Many of the field supervisors are unfairly evaluating the ATRs as if they have ownership of the class (controlling their grade) and understand the academic ability of the students. 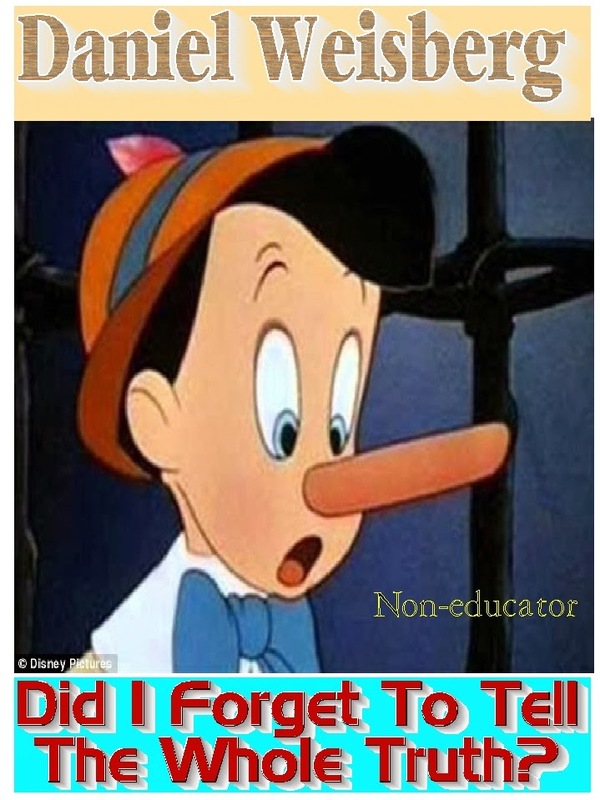 Moreover, quite a few field supervisors are demanding lessons that show rigorous techniques that smack of Common Core and to them Regents type questions are not rigorous enough. How unfair is that? Many of the ATRs are being held to unattainable standards claiming that Regents based questioning and labs (science) are not rigorous enough. The union must put a stop to this harassment and if necessary file a lawsuit, what are we paying our dues for? I can only conclude this post by saying that Albert Shanker must be rolling in his grave to see how passive his union has become when it comes to protecting its member, especially the ATRs. Chancellor Carmen Farina's Cathie Black Moment. It seems that Chancellor Carmen Farina's decision to open the New York City schools during the height of the snowstorm was a terrible lapse of judgement. Despite warnings from all the meteorologists that the heavy snow was to hit New York City between 6 and 10 am, she chose to open the New York City schools anyway. Her terrible decision ended up outraging parents, teachers, and principals throughout the City. It turned out the the heaviest snow band that had dropped 3 to 6 inches in an hour was moving through the City just as the children were traveling to their schools. Talk about perfect timing for a disaster? “It has totally stopped snowing,” Fariña said. “It is absolutely a beautiful day out there,” (Note it was still snowing and mixing in with sleet and freezing rain while the roads were slushy and with large puddles everywhere). Interestingly,on such a beautiful day she cancelled her evening meeting in Brooklyn because of the weather. Yes, a "Cathie Black moment" by our new Chancellor. Even the teachers and principals unions criticized the decision to open the schools and when the Mayor defended his chancellor by claiming that the National Weather Service informed him that there would only be up to 3 inches of snow on the ground when school opened, weatherman Al Roker on Twitter called the Mayor's claim untrue and he's right.The National Weather Service was going for the heaviest snow to start in the morning at the time the Chancellor made her decision to keep NYC schools open Here. The Mayor and Chancellor made an extremely poor decision and rather than admit they made a mistake they blamed the National Weather Service, parents who don't feed their children, and ignored the safety of those children as they attempted to attend school in a heavy snowstorm with near zero visibility and snow covered roads and sidewalks. I must remind the two of them it's safety first and everything second when it comes to the City's children. How disappointing that our Chancellor is still following the snow policies of the Bloomberg administration that has been criticized for years. Former Tweed Lawyer, Daniel Weisberg Fails To Tell The Whole Story. It seems the education media offensive continues against the ATRs as the New York Post published an opinion piece from non educator and ex flunky of Joel Klein and former Tweed lawyer Daniel Weisberg. Mr. Weisberg is now Executive Vice President and General Counsel for The New Teacher Project (TNTP) which places "newbie teachers" in high poverty schools. In his article, Mr. Weisberg made no bones about that ATR teachers are "bad teachers" as the heading to his column states. Mr Weisberg explains how proud he is to have negotiated the ATR pool into existence by his "mutual consent" agreement that allows principals to decide who to hire. Mr. Weisberg falsely claims that many of the teachers in the ATR pool are not looking for a position. In fact he claims 60% don't want a position because they haven't bothered to apply on the Open Market Transfer System. Of course he failed to mention the Open Market Transfer System is a joke and iis only good for lower paid untenured teachers who want to escape high poverty schools as highly experienced teachers never even get an interview! I wonder why that seemed to have slipped his mind? While Mr Weisberg doesn't say the ATRs are undesirable, however, if you read between the lines he does insinuate it by saying principals rather not hire them. His solution is a six month to one year ATR time limit and then be terminated if they fail to land a position. Just like all other education reformer proposals which ignores the real cause of the ATRs not being able to obtain a classroom position. Of course, Mr. Weisberg conveniently left out why there is an ATR pool and why principals are not hiring them. Why would he print the truth since it would show what a hypocrite he is? Here is what Mr. Weisberg decided to leave out in his article. First, there is no mention of the "fair student funding formula" that discourages principals from hiring the "best teachers" just the "cheapest". Combine that with a 14% reduction in school budgets and no Principal will be willing to hire a senior teacher no matter how "qualified" that teacher is. Second, he works for an organization that supplies the "cheapest teachers" to the DOE and the "fair student funding formula" is a godsend to his organization. It matters little that most of the "newbie teacher" will be long gone before they ever become a "quality teacher" as defined by the NCLB. For Mr. Weisberg its not about what's best for the students, its what's best for his organization. Finally, he knows quite well, since he negotiated the contract with the union, that the union can't reasonably put a time limit on the ATRs since it may violate Civil Service Law and start a "slippery slope" and a reduction of Municipal employee rights throughout the City. The result would be a Municipal union lawsuit that would put a halt to any such action. Mr. Weisberg is just like all the other non-educator pseudo-reformers who ignores the truth just to publish his flawed point of view and despite his claims it's not what's best for the students of the New York City Schools but what's best for his organization.. The Daily News Continues To Practice Yellow Journalism. The Daily News in today's edition has again disparaged the ATRs and wants them terminated after a six month time limit. The editorial calls the ATRs the "walking dead" and "unwanted". Furthermore, the editorial claimed that the ATRs are of "poor quality" and the students would be "unlucky" to have them teaching in their class. Of course the Daily News editorial board's ideological slant is evident in the article since they once again fail to identify the real reason there are over 2,000 ATRs in the system. Let's look at what the editorial failed to mention. There is no mention of the biggest factor for principals not hiring ATRs, the "fair student funding" formula that restricts principals from hiring the "best teachers". Instead they are encouraged to hire the "cheapest teachers" and subject the students to inexperienced and untested teachers, many who will be gone from the classroom before they ever become a "quality teacher" as many ATRs are. In other words, its all about the money and not what's best for the students. Nowhere in the editorial do they mention that the age of the teacher is a factor in hiring ATRs. The data that I obtained previously showed that the average age of the ATRs are in their 50s and few long-term ATRs are under 40 years of age. Did the Daily News bother to look into why the ATR pool has a disproportionate amount of older teachers in it? Of course not. Since 2008 the average school budget has been reduced by 14%, forcing principals to increase class sizes, reduce staff, and have fewer resources. Therefore, when combined with the "fair student funding" directive, principals will stretch their budget by giving their staff a sixth period and hire the lowest salaried teachers, usually "newbies", even if that is not what's best for the students. The editorial wants a six month time limit for ATRs to obtain a position, as if the other issues listed previously does not exist, and asks that this be part of the next contract. However, they know full well that the Bloomberg Administration had offered the union the two 4% raises, including "retroactive raises" if the union agreed to an ATR time limit. The union refused since it will create a "slippery slope" that would eventually undermine Civil Service Law and that would prompt the other Municipal unions to file a lawsuit to stop it. There is a "snowball's chance in hell" for the union to negotiate n ATR time limit and the Daily News should know that. The editorial board falsely claimed that before the weekly rotation system, the ATRs "hang out and get paid". The reality is that many principals gave ATRs full classroom schedules and were able to reduce class sizes for all the teachers since the schools were getting "free help". This was a "win-win" for the schools since the principals recieved free help while the ATRs felt needed and part of the school culture. The ATRs were desired by principals rather than being "unwanted" as the Daily News falsely claims since it helped the resource starved schools improve their instruction by getting an experienced teacher who can help mentor the "newbies" the principal was being forced to hire. 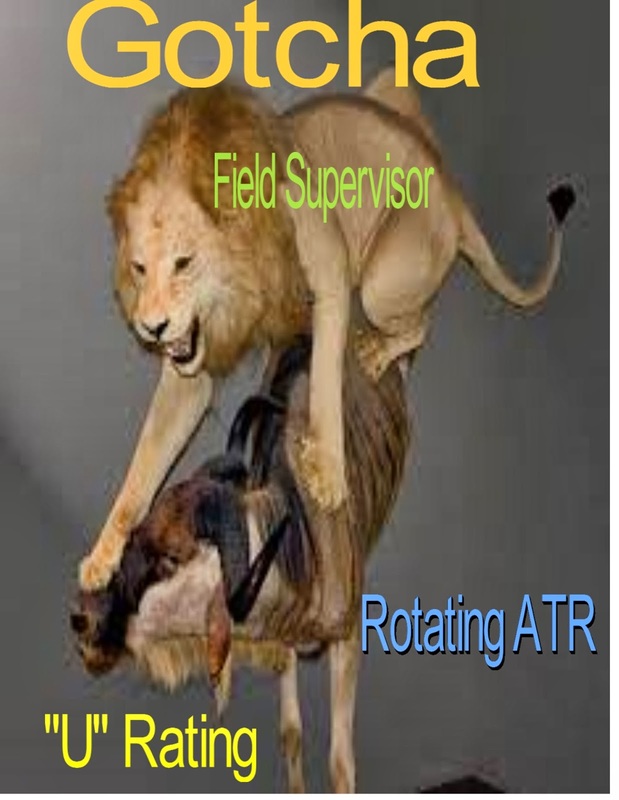 By contrast the weekly ATR rotation system is a waste of talent, money, and is demoralizing to all staff. There is no mention of the inept, incompetent, and poor quality of the "Leadership Academy Principals" many of them with limited classroom experience and quite a few who never achieved tenure! Yet the Daily News gives them a free pass and puts the blame on the teachers for a school's failure and the hiring practices.. You can found many of these principals here. A real newspaper would investigate both sides of an issue and bring up all the facts, regardless how inconvenient it is. On the other hand a propaganda rag will leave out the facts and twist, pervert, and change information to suit their ideological aims. Which one is the New York Daily News? The DOE Is Using Field Supervisors To Thin The ATR Herd And The Union Doesn't Seem To Care. The Department of Education has tried many ways to try to eliminate the ATR pool that our union very unwisely allowed the DOE to form in their terrible 2005 contract in the first place. First, the DOE asked for a time limit, the union told them no since the original agreement with Tweed was that the DOE would pay for teachers to be ATRs indefinitely as a condition for having an ATR pool and allowing principals to hire "newbie teachers". Next, the DOE instituted the "fair student funding" formula that gave principals a disincentive to hire experienced teachers since their higher salaries adversely affects the school's budget. Next, Chancellor Joel Klein and his Tweed cronies started a public relation offensive that portrayed the ATRs as "bad teachers" and the media picked it up. Finally, Michael Mandel of the UFT proposed that ATRs be rotated from school to school in response to Mayor' Bloomberg's bluff to layoff teachers. According to the UFT spin machine this agreement would force principals to pick up the ATRs for their vacancies rather than have them for the year "free of charge". However, like all UFT/DOE agreements, it backfired in the union's face as the DOE either ignores the agreement or changes it to serve their interests. The result is a useless, worthless, and ridiculous weekly rotation system that serves no purpose to the students oi New York City. Now the DOE has come up with yet another way to try to thin the ATR pool by exposing them to sham observations from field supervisors. Anecdotal evidence has shown that a good number of ATRs are being given "unsatisfactory observations", with one field supervisor giving almost 50% of his ATRs an "unsatisfactory observation". Many of these filed supervisors are asking for detailed lesson plans, doing Danielson-like observations, a Common Core rigor approach, and dictating the content of the lesson that the ATR is to teach. As these complaints pile in, the union doesn't seem interested to confront the DOE on the apparent abuses by their field supervisors. I believe, this may be the latest attempt to demoralized and force ATRs to resign and retire before the de Blaio/Farina administration places them back into the classroom next school year. The one good thing is that an "unsatisfactory rating" and an "ineffective rating" are not the same as two "ineffective ratings". Therefore, for many ATRs who receive their first "unsatisfactory rating" it will mean little since the DOE can't bring 3020-a termination charges. However, as a result of this it may be possible that the DOE will generate two lists of ATRs, one for ATRs who received "satisfactory ratings" and another that received "unsatisfactory ratings" with only the ATRs who received "satisfactory ratings" eligible for hire by principals who have vacancies, while the "unsatisfactory rated" ATRs are placed in all remaining vacancies or as "push in teachers" in struggling schools. 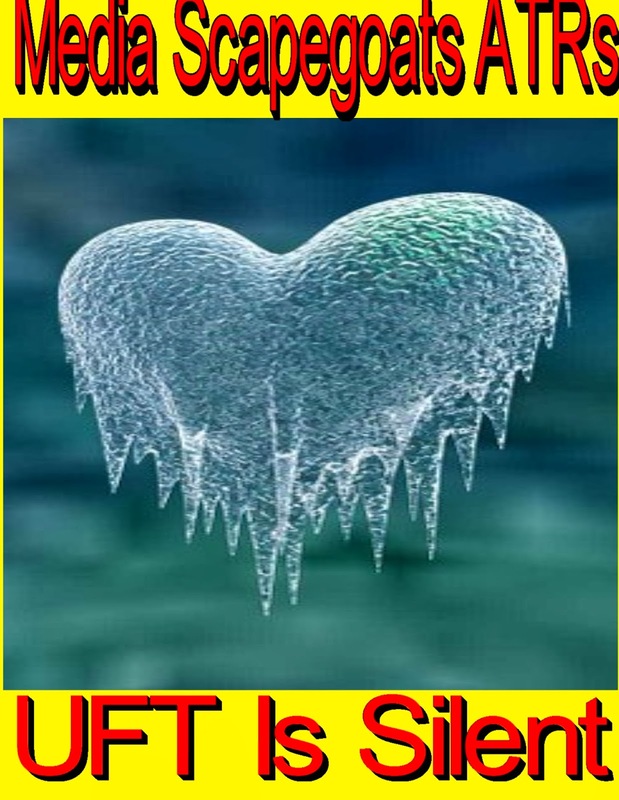 Of course this assumes there will be a "hiring freeze". I hope I'm wrong and the union will take pro-active action on the field supervisor issue since I believe that observing an ATR in a strange school with students that are not theirs is unfair and the entire process needs to be grieved as soon as possible. 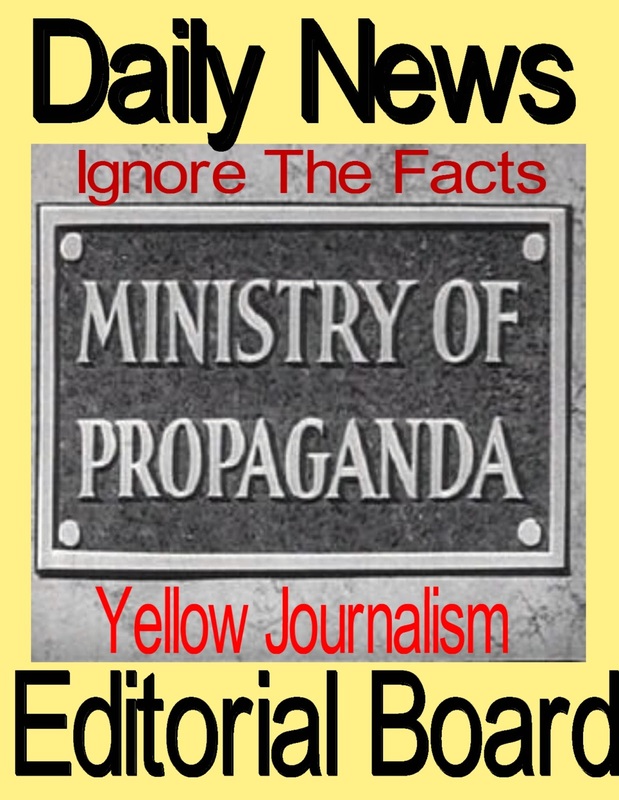 The Daily News Trashes ATRs With A Propaganda Article That Smacks Of Yellow Journalism. The Daily News published an article that in its print edition called ATRs "bad teachers" and that principals find them "undesirable" for their school. The trash article made it seem that ATRs are unwanted and damaged and will hurt student learning. How wrong the article is. 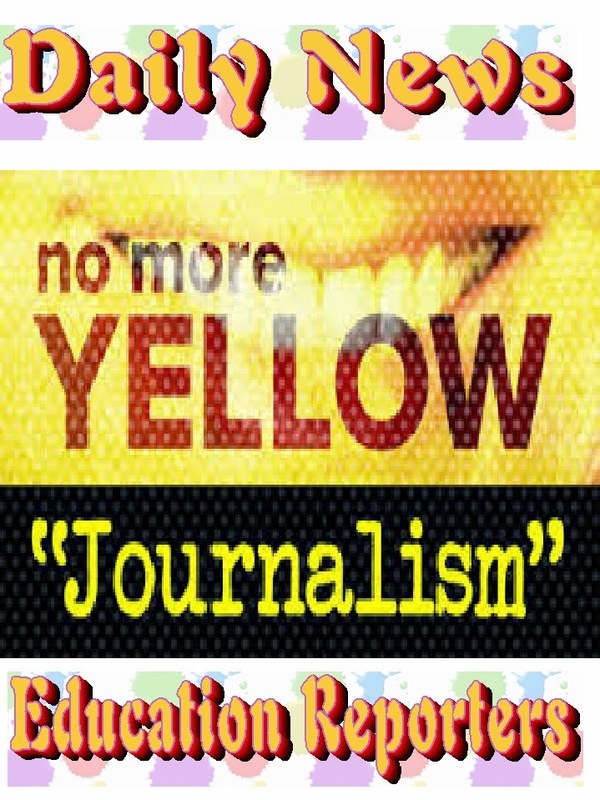 The inaccurate article with the byline of Corinne Lestch and supported by that "hard working reporter", Ben Chapman, the Daily News education reporters smacks of another case of "yellow journalism". These so-called "education reporters" failed to print the truth, like usual. The real truth is that principals fail to hire ATRs because of the "fair student funding" formula that requires principals to hire the "cheapest" not the "best teachers" for their school so as not to hurt their tight budget. Nowhere in the terrible Daily News article is there even a mention of the "fair student funding" formula and its effect on hiring as a result. In addition, the Daily News article omitted that the New York City schools have suffered funding losses and had their budgets reduced by an average of 14% since 2008 while class sizes rose to their highest in years. Furthermore, these sloppy reporters failed to notice that the ATR pool is populated with senior teachers with the average age in the 50s. Wouldn't a good reporter look into the "age factor"as the reason that principals don't want these teachers in their schools? These senior ATRs bring with them an institutional memory of what teaching is about and what teachers can or cannot do under the teachers contract. Why hire a teacher that says "why" when given a command that seems in violation of good teaching while a "newbie" will say "high high"? This is especially true of those "Leadership Academy Principals" who bought into the Joel Klein propaganda. Finally, the Daily News failed to question the uselessness of the ATR rotation system that wastes money and hursts students who are deprived of some very experienced "quality teachers". Interestingly, the Daily News forgot to include the hundreds of guidance counselors, social workers, assistant principals, and secretaries. The number is over 2,000 and the money wasted is close to $160 million dollars annually. My proposal on what to do with the ATR pool can be found Here. I guess for the Daily News education reporters it's ideology first and children last. 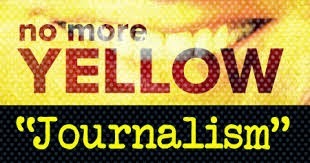 What happened to honest and balanced reporting in the education beat? Apparently, it doesn't exist when it comes to the Daily News education reporters. P.S. I have been informed that the Daily News is doing a "follow up article" on the ATR issue for tomorrow's paper. I'm sure there will be more half truths, an ideological slant, and outright lies about the ATRs. Can't wait. I also believe we we see the New York Post and the New York Times do the same in the coming weeks. The Contract That NYC Educators Deserve. The MORE caucus of the UFT has published their contract demands and I find myself in general agreement with the provisions of the proposed contract. While I am not 100% aligned with all the various items in the MORE proposal, it certainly goes a long way in meeting my own personal ideas of what our union should be negotiating with the de Blasio administration. Without further comment here is the MORE contract proposal that will go a long way in satisfying educators, parents, and students of the New York City Public School System. I can only hope the UFT negotiates a contract that is similar to what MORE has proposed and I will be a very happy camper if it comes to pass. Contact Your State Representative To Appoint Real Reform Candidates To The State Board Of Regents. Shortly, four members of the current Board of Regents have their terms expire. Unfortunately, these members want their term renewed and continue the destructive Cuomo/King education reform policy. To counter that Diane Ravitch has requested that everybody email their State representatives and oppose renewing the four members of the Regents Board. Instead, request that we want real reformers in those important positions. Ed Notes Online has a list of those candidates and why they should be selected to the Regents Board and can be found Here. Just as important is how do you contact your State representatives. Lucky for us the Diane Ravitch Blog show's us how to do just hat Here. We need new blood on the NYS Regents Board and select people whom are responsible to the schools of the State and not the Corporate education reform groups that seem to dominate the board presently. 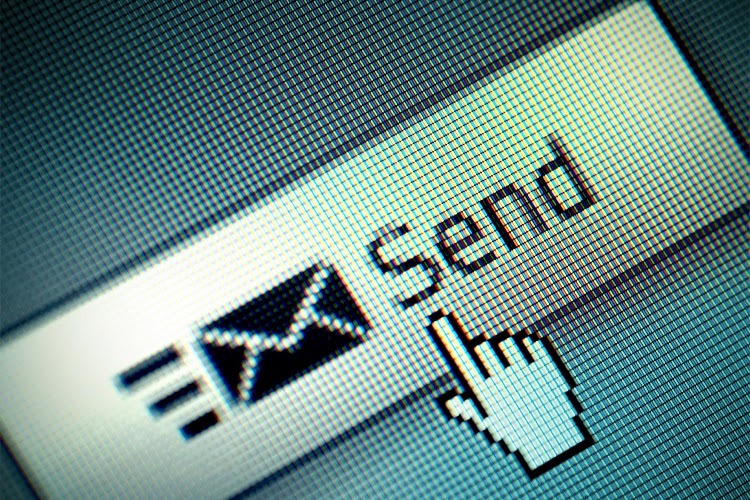 Please send your emails ASAP to both your State Senator and Assemblyman. Let's have some real reformers on the Regents Board. Is This The Begining Of The End Of Charter School Expansion In New York City? Now that Bill de Blasio has become Mayor of New York City the ever expanding charter school program looks like it will be stopped in its tracks. The new Mayor campaigned as the anti-Bloomberg and wanted to stop charter school co-locations, expansions, and fund the public schools rather than increase funding to the charters. After a slow start the Mayor has taken his first steps to deliver on his campaign promise. The Mayor has authorized that $210 million dollars that was to go for charter school co-location costs be redirected into his emerging pre-Kindergarten program. In response the pro-charter media, especially the New York Post has an article that interview parents who want the charter school programs fully funded and expanded. The article was co written by the anti-teacher and anti-union reporter Carl Campanile. I suspect the the editorial boards of the three newspapers will support the charter school movement during the next couple of weeks by pleading with the City not to halt the charter school expansion and employ the State to intercede on their behalf.. The next item on the Mayor's agenda will be the rent the City will demand of the charter schools for the 2014-15 school year. I also believe the hasty approved co-locations for the proposed charter schools by the Bloomberg Administration will largely be reversed and these schools will probably never open. The space will be given to the de Blasio per-Kindergarten program instead. Enjoying public funding while not following many of the State or City rules. Not taking students that need additional resources. Expelling students for behavior and/or academic issues. Consuling out students they don't want by threatening to hold them back. Focusing only on testable subjects to show imaginary success. Failure to back fill students when other leave. and well financed charters will survive while paying rent to the City until they realize its better to get there own space. It will be very interesting to see all these charter school supporters crying that its unfair to the children. Of course, when it came to the 95% of public school children that suffered from inadequate resources because of the increasing amount of funding that went to the charter schools at the expense of the public schools, that didn't seem to matter to them. 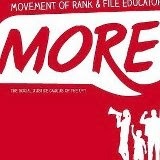 Its about time that the worm has turned and now its the charter schools and their supporters that are crying the blues. Let the tear ducts keep producing water in the charter school movement.